Dynatrace is the innovator behind the new generation of Digital and Application Performance Management. Their passion is enabling customers, large and small, to implement the end-to-end management of applications, digital channels and entire digital eco-systems through the lens of end users. Dynatrace provides organizations complete visibility and control of their web, mobile and enterprise applications from development through to operations. This provides unparalleled actionable insight that allows companies to achieve and maintain market leading end-user experiences for all applications through every phase of the software lifecycle. Over 7,500 organizations worldwide use these insights to master complexity, gain operational agility, and grow revenue by delivering amazing user experiences along with enhance release capabilities. Capriza enables enterprises to unlock the promises of mobility. It does this by connecting mobile devices to enterprise systems easily with a simple value proposition for the users. Capriza turns businessworkflows into mobile applications without requiring coding, APIs, upgrades, or integrations. It enables legacy applications to be used on multiple channels tablets, smartphones, desktops. 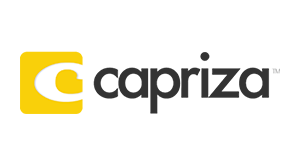 Capriza's solutions are compatible with widely used applications like Oracle, Salesforce, and SAP, and can also be custom-configured Leverage the enterprise security and firewalls. This single solution for all systems utilzes "the One-Minute Concept" by breaking activities down to simple tasks that can be performed on any device, anywhere, anytime with zero business disruption and immediate time to value. ICTkeynote Inc is a consulting company providing strategy, marketing, and CIO/IT technology insights along with operational and governance leadership to accelerate technology adoption, enhance industry practices and advance marketing/sales objectives. ICTkeynote has experienced ICT professionals with extensive experience supporting innovative B2B engagement and collaboration programs. They focus on enhancing collaboration between business leaders and their technology partners using a disciplined and professional approach based on real world business experience. IT Performance management & Balanced Scorecards. Business & IT transformation and process optimization. IT strategy development and implementation. Business case development and IT investment planning and prioritization. Business and IT process outsourcing and cost reduction. Performance measurement and management (using balanced scorecard). Copyright © 2019 Causal Effects Inc.